Want to win an all-expenses paid trip to New York and the Formula E season finale? Think you’re the team’s biggest fan? Well, we have an opportunity for you! After the success of last season’s competition, the team is once again searching to find its Superfan. We want to discover the biggest Superfan of the Envision Virgin Racing Formula E Team and, in return, we will send them and a friend to New York City to hang out with the team during the final rounds and experience all the atmosphere of the paddock. So, if you think you have what it takes then check out the entry details below and of course, please check the terms & conditions before entering to make sure you’re eligible. Best of luck and we hope to see you in New York! Simply upload a piece to social media explaining why you are the team’s biggest fan, using the hashtag #EVRSuperfan. It can be in any format – photo, message, video – and be as creative as you like! You have from now until Monday 27 May 2019 in order to post your content, BUT you must use the hashtag #EVRSuperfan when posting otherwise it won’t be counted. 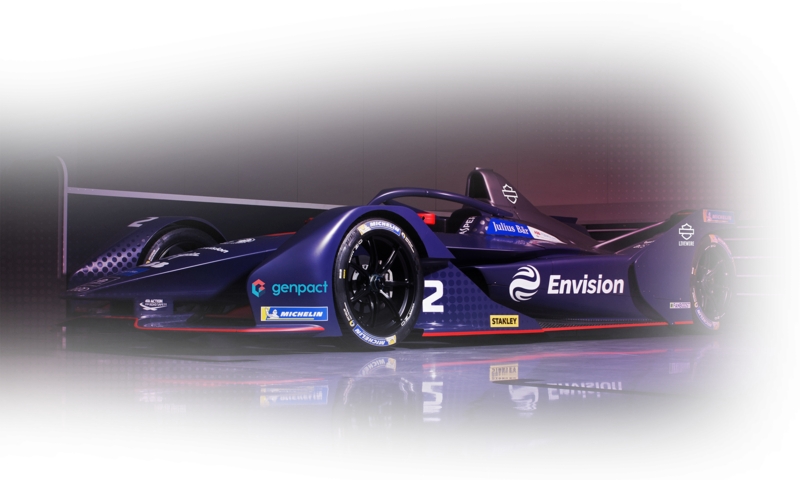 The winning entry, selected by the Envision Virgin Racing Team, will win a trip to New York City, departing on Friday, 12 July returning on Monday 15 July 2019. The prize includes return economy flights – departing from any London airport – as well as hotel accommodation near to the track, spending money, a team goodie bag, race tickets, a tour of the team’s garage, and meet & greet with the drivers, plus a few extra surprises! 1. The competition will run from 09:00 GMT on Friday 14 December 2018 (the “opening date”) to midnight on Monday 27 May 2019 (the “Closing Date”) inclusive. 2. All competition entries must be received by the Promoter by no later than midnight on the Closing Date. All competition entries received after the Closing Date are automatically disqualified. a. aged 18 years or over; and except employees of the Promoter, their families, agents or any third party directly associated with administration of the prize draw. 4. Entrants may be asked to provide proof of permission to enter this competition. 5. The competition is free to enter and no purchase is necessary. 7. Entrants can enter as many times as they wish during the entry period. 8. The Promoter accepts no responsibility for entries not successfully completed due to a technical fault of any kind. 9. A winner will be chosen by Envision Virgin Racing on Monday, 3 June 2019 and announced on social media on Wednesday 26 June 2019. The decision of the Promotor is final. 10. The winner will receive a trip to New York City, departing on Friday, 12 July returning on Monday 15 July 2019. The prize includes return economy flights – departing from any London airport – as well as hotel accommodation near to the track, spending money, a team goodie bag, race tickets, a tour of the team’s garage, and meet & greet with team drivers Sam Bird and Robin Frijns. 11. The winner will be notified by Direct Message on Twitter or Instagram within 7 days of the Closing Date. If a winner does not respond to the Promoter within 7 days of being notified by the Promoter, then the winner’s prize will be forfeited and the Promoter will be entitled to select another winner in accordance with the process described above. 12. The prize will be sent to the winner via email within 28 days of being notified of their win. 13. The prize for the winner is non-exchangeable, non-transferable and no cash alternative is offered. 14. The Promoter reserves the right to replace the prize with an alternative prize of equal or higher value if circumstances beyond the Promoter’s control makes it necessary to do so. 15. The decision of the Promoter regarding any aspect of the prize draw is final and binding and no correspondence will be entered into about it. 16. Participants are deemed to have accepted and agreed to be bound by these terms and conditions upon entry. The Promoter reserves the right to refuse entry, or refuse to award the prize to anyone in breach of these terms and conditions. 17. The Promoter reserves the right to hold void, cancel, suspend, or amend the promotion where it becomes necessary to do so. 18. Insofar as is permitted by law, the Promoter, its agents or distributors will not in any circumstances be responsible or liable to compensate the winner or accept any liability for any loss, damage, personal injury or death occurring as a result of taking up the prize except where it is caused by the negligence of the Promoter, its agents or distributors or that of their employees. Your statutory rights are not affected. 19. Winners may be required to participate in publicity related to the prize draw which may include the publication of their name, age and designs in any media. The Promotor shall seek permission from the entrants’ parents in order to do this. 20. Personal data supplied during the course of this promotion may be passed on to third party suppliers only insofar as required for fulfilment/delivery/arrangement of the prize. 21. The prize draw will be governed by English law and entrants to the prize draw submit to the jurisdiction of the English courts. The Promoter of this prize draw and Data Controller is Virgin Racing Limited, Old Town, London SW4 0JY.